Nergal, singer and guitarist for Polish black metal band Behemoth, was recently at Amoeba Hollywood and shared with us the stories behind his two box set picks, as well as why he thinks it's important to buy records. "I just think it's right to buy stuff, to support it," he says. "I'm happy when people buy my records." Behemoth was founded in 1991 by Nergal (né Adam Darski), drummer Baal, and guitarist Desecrator. They released their debut LP, Sventevith (Storming Near the Baltic) in 1995. The band's profile grew with the release of their second LP, Grom, and its follow-up, Pandemonic Incantations. They made their live debut in the United States in 2003; shortly after this tour, Danzig invited Behemoth to join the Blackest of the Black tour. 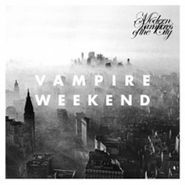 The group's latest release is 2014's The Satanist. A mainstay in the death and black metal worlds, Nergal is set to release the debut LP from his nascent folk project, Me and that Man, March 24, 2017 on Cooking Vinyl. His memoir is titled Confessions of a Heretic: The Sacred and the Profane: Behemoth and Beyond. Nergal is a coach on the reality talent show The Voice of Poland. He has collaborated with Nile, Mastiphal, Ex Deo, and many other black and death metal bands. 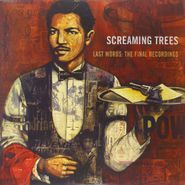 This week's Weekly Wedensday Steal is Screaming Trees' final LP Last Words: The Final Recordings, regularly $19.98 and on sale for $10 on vinyl. Fronted by gruff-vocaled Mark Lanegan, Washington's Screaming Trees were among the forefront of the grunge movement, scoring the alternative rock hit "Nearly Lost You." Last Words consists of recordings the band did in 1998 and 1999 right before the band broke up. The album wasn't offically released until 2011 and now constitutes the last Screaming Trees album. Meanwhile, Lanegan has had a successful post-Trees career as a solo artist, recently releasing the fine Phantom Radio LP, and as a collaborator with the likes of Queens of the Stone Age.